1. Name, Call : نام رکھنا : (verb) assign a specified (usually proper) proper name to. What have you named him ? Call - ascribe a quality to or give a name of a common noun that reflects a quality. 2. Name : اسم - نام : (noun) a language unit by which a person or thing is known. She named her daughter Sara. Those are two names for the same thing. Agnomen - an additional name or an epithet appended to a name (as in `Ferdinand the Great'). 3. Name, Gens : خاندان - برادری : (noun) family based on male descent. He had no sons and there was no one to carry on his name. Family, Family Line, Folk, Kinfolk, Kinsfolk, Phratry, Sept - people descended from a common ancestor. 4. Name, Make, Nominate : مقرر کرنا : (verb) charge with a function; charge to be. Appoint, Charge - assign a duty, responsibility or obligation to. 5. Name, Figure, Public Figure : مشہور شخص - مشہور نام : (noun) a well-known or notable person. They studied all the great names in the history of France. 6. 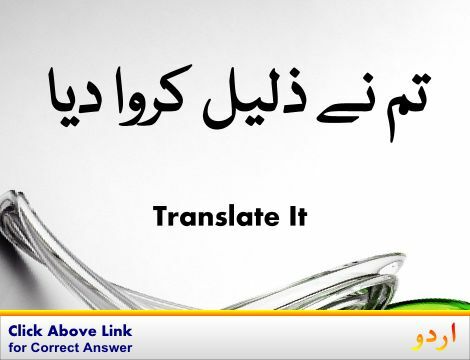 Name, Appoint, Constitute, Nominate : تشکیل دینا : (verb) create and charge with a task or function. Constitute, Establish, Found, Institute, Plant - set up or lay the groundwork for. 7. 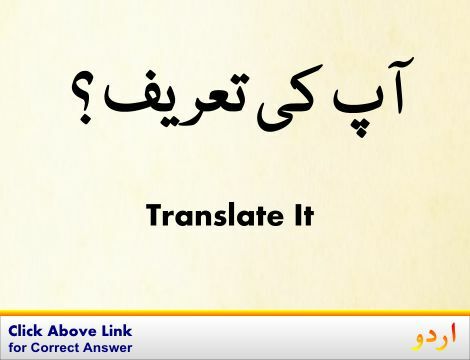 Name : نام سے پہچان کرنا : (verb) mention and identify by name. Define, Determine, Fix, Limit, Set, Specify - decide upon or fix definitely. 8. Name, Epithet : گالی : (noun) a defamatory or abusive word or phrase. Calumniation, Calumny, Defamation, Hatchet Job, Obloquy, Traducement - a false accusation of an offense or a malicious misrepresentation of someone`s words or actions. 9. 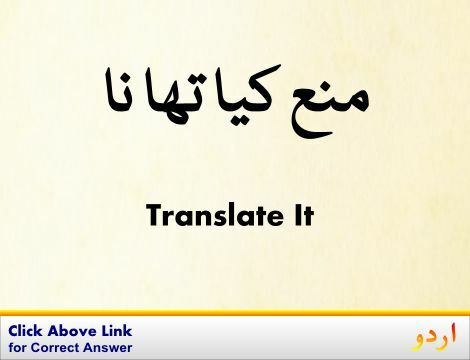 Name, Advert, Bring Up, Cite, Mention, Refer : حوالہ دینا - آنا : (verb) make reference to. His name was mentioned in connection with the invention. Have In Mind, Mean, Think Of - intend to refer to. 10. Name, List : فہرست بنانا : (verb) give or make a list of; name individually; give the names of. Enumerate, Itemise, Itemize, Recite - specify individually. 11. Name, Diagnose : مرض کی تشخیص کرنا - مرض کا پتا لگانا : (verb) determine or distinguish the nature of a problem or an illness through a diagnostic analysis. Nameless : گم نام : being or having an unknown or unnamed source. Naked : پورا ننگا : completely unclothed. How this page explains Name ? It helps you understand the word Name with comprehensive detail, no other web page in our knowledge can explain Name better than this page. 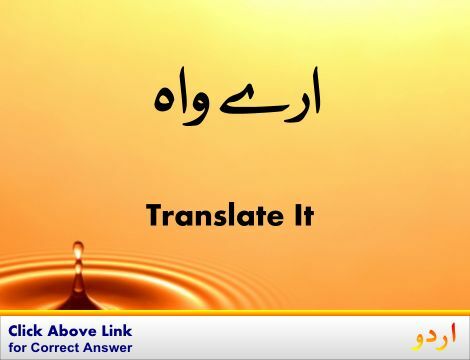 The page not only provides Urdu meaning of Name but also gives extensive definition in English language. The definition of Name is followed by practically usable example sentences which allow you to construct you own sentences based on it. You can also find multiple synonyms or similar words on the right of Name. All of this may seem less if you are unable to learn exact pronunciation of Name, so we have embedded mp3 recording of native Englishman, simply click on speaker icon and listen how English speaking people pronounce Name. We hope this page has helped you understand Name in detail, if you find any mistake on this page, please keep in mind that no human being can be perfect.